With various gyms throughout the UK, Rush Fitness offers 24/7 access to their members. With state of the art equipment in abundance, dedicated teams of fitness professional and a plethora of fitness classes, Rush Fitness gyms operate to help members meet their needs. With non-obstructive and easy access for members, Rush Fitness providing a safe and secure environment using modern technologies. Vistec Systems won the security tender to work with and improve safety and access control systems for the Uxbridge gym branch of Rush Fitness. Tasked with supplying and installing a simple and effective biometric security solution to help control and monitor entry access for their members, whilst also helping to combat PIN sharing issues between members and non-members, which is commonly found with systems relying on secondary credentials (i.e. card/fob or PIN controlled access systems). Rush Fitness also required biometric enrolment kiosks for paying members to enrol and manage their memberships. Vistec Systems selected ievo Ltd.’s biometric solutions to integrate with the Paxton Net2 access control system to provide an efficient and secure environment for Rush Fitness gym members. The installation consisted of ievo ultimate products, which met with the approval of the general manager after being demonstrated the benefits and functions of the fingerprint readers. The ievo ultimate provides peace of mind that only registered members will be granted entry, due to the nature of biometric data being unique to the individual. Only paying members with registered fingerprints are permitted to enter the gym, removing the issues of PIN sharing that previously caused concerns. ievo solutions seamlessly integrated into the Paxton Net2 access control systems, providing reduced installation time and simple set up. The ievo and Paxton system was implemented to be controlled by third party software which hosts the software on cloud based servers and monitors memberships. 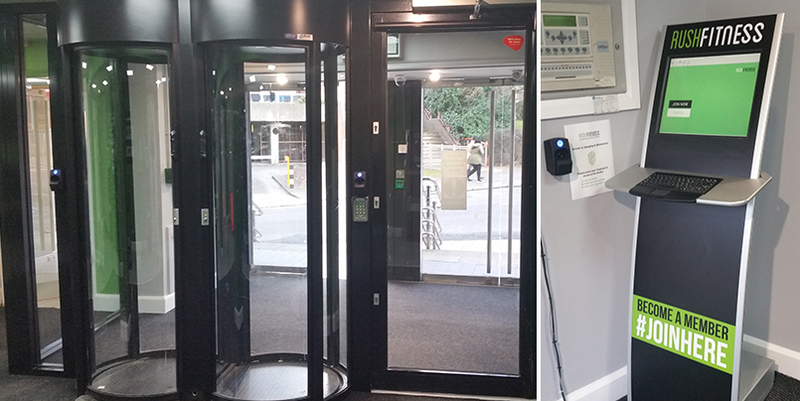 Vistec Systems installed ultimate readers into enrolment kiosks, which allow members to self-register their biometric fingerprints for instant access to the site and also on the access security portals into the gym. Rush Fitness have reported that following Vistec Systems installation membership records have risen to the highest that have been. Both staff and members quickly adapted to using the biometric system and management have noted that incidents of non-members gaining access to the gym have dropped substantially.